Veterans have a penchant for entrepreneurship. While veterans account for about 7.5% of the U.S. population, they own 9.1% of all businesses in the country. A 2011 SBA Office of Advocacy study reported that veterans are about 45% more likely to become entrepreneurs than people with no active-duty military experience. The reasons veterans turn to entrepreneurship aren’t unlike the reasons most Americans want to start a business: being your own boss, creating financial and personal independence, having flexibility. But veterans also face unique situations in returning to civilian life that can lead them to entrepreneurship. For some, finding a job may be difficult. Some veterans may have never looked for, applied for, or interviewed for a civilian job. Others may have experiences that make their re-entry to the job market more difficult, according to a Pew research study. Some veterans may leave the civilian workforce or not enter it at all because of a lack of organization and the difficulty that civilians have in understanding how veteran skills should be used, according to a study by Syracuse. For these reasons, and many more, entrepreneurship can be an appealing option for veterans to explore. And it’s often noted that skills learned in the military translate well to entrepreneurship. Veterans are often adept at handling risk, performing under pressure, planning for multiple scenarios, and managing resources (time or otherwise). Veteran entrepreneurs often bring something else to their businesses: their continued need to serve. Our own survey of Square sellers found that veteran business owners widely report that they use their business to pay it forward to other veterans or veteran services by doing things like providing job opportunities for veterans, donating to organizations, and volunteering time and resources for veteran organizations. 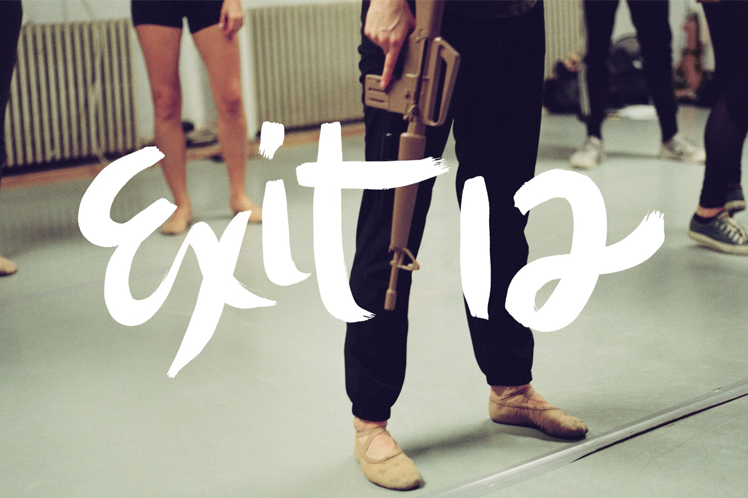 One example of a veteran business owner who is paying it forward is Roman Baca, the founder of Exit12, a dance company that uses choreography to tell the stories of those affected by war. Roman was a Marine anti-tank missile assaultman, machine gunner, and fire-team leader in Fallujah, Iraq. And just as he has used choreography to work through his experiences there, he also helps other veterans use movement as a means of expression. Exit 12 is part of our ongoing Dreams campaign, which tells the stories of business owners across America. Tell us your dream or the story of another dreamer at dreams@squareup.com.